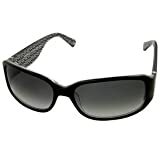 These are thick black rimmed sunglasses from Coach. The design name is ‘Addison’ and offer 100% UV protection (UVA and UVB). Recommended for really sunny areas such as Florida. Often on the beach, the sun can be quite blinding, reflecting off the sand. 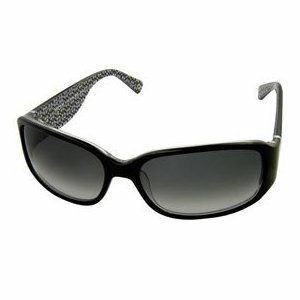 Black/Gray Gradient: This pair of Coach sunglasses is an elegant design that is perfect for eye protection against harmful sun rays.